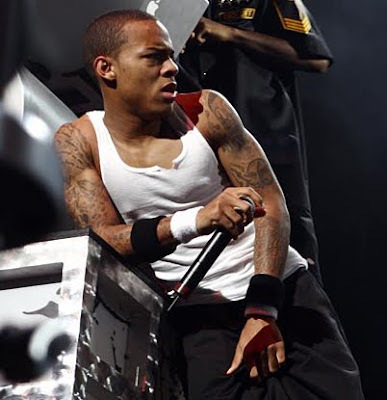 Bow Wow is a creative and talented American rapper/actor who is best known for his albums, Unleashed and The Price of Fame. 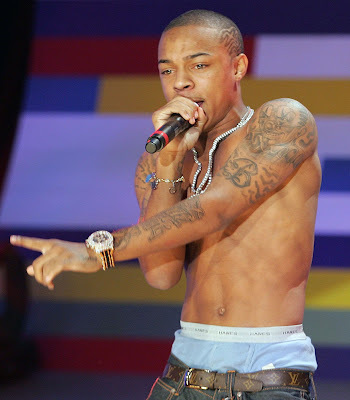 Bow Wow has several tattoos on his body, mainly on both of his arms and shoulders, plus a large tattoo in the center of his chest which reads "Prince of the O-town". The tattoos on his left arm include, a large clown, the letter "B", money bag, plus many others. The tattoos on his right arm include, the praying hands of Jesus, a prayer, a vertical line of old English style letters, a paw print, plus many other designs. 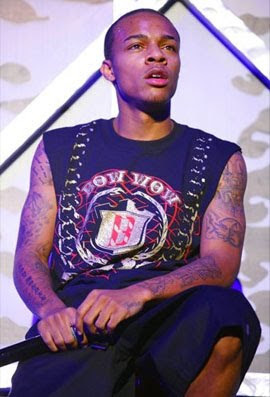 Some of his other tattoos include, a rose, dice with flames, heart/diamond/spade/club, the phrase "Only God can judge me", his mothers name and face, flaming skull, "Boy Wonder" and a few other tattoos as well.